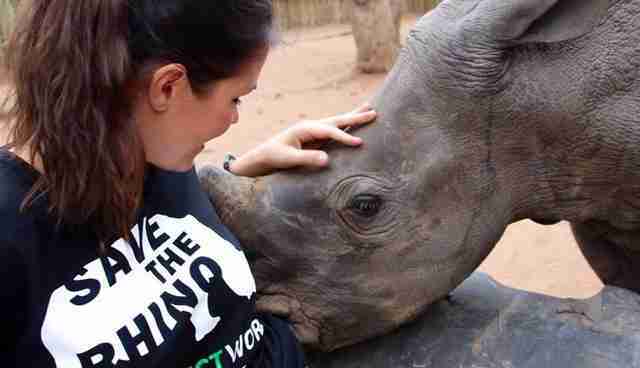 Visiting the World's Largest Rhino Orphanage! 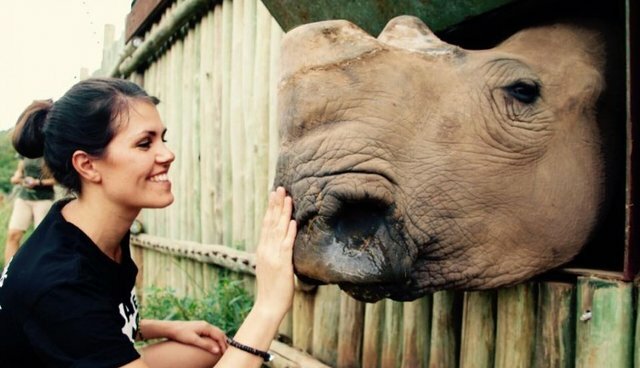 In February me and Camilla Jönsson from The Perfect World Foundation visited CARE for WILD AFRICA, The World's Largest Rhino Orphanage, situated in Mpumalanga, South Africa. CARE for WILD AFRICA is a rehabilitation centre which helps rehabilitate several different types of animals species. Their main focus are young rhinos who are victims of the legal wildlife trade because of the high demand on rhino horn. When we first got to CARE for WILD AFRICA, Camilla and I were feeling WOW! these baby rhinos are so cute, but then it hit us why we were here, why this place existed in the first place. These poor little animals were victims of poachers that brutally killed their mothers and families, leaving them vulnerable, alone, sad with no food, without protection or comfort, not able to take care of themselves crying for their mothers. A few days before we arrived, Petronel one of the owners of the centre and her team received a young little female rhino, which they named Valentine. Her mother had been shot. She was left alone and got attacked by lions. They ripped her tail off, she was too small and could not protect herself. Unfortunately we got the sad news a few days after we left that she did not survive. At least three rhinos are being killed everyday, if these numbers don't decrease rapidly they will be extinct in a few years. "These animals are so special, you can really tell they have experienced a lot of trauma and have a sad story to tell just by looking in their eyes" says Camilla. We also met a strong little male rhino named LoFo. His name was given to him because he was lost for a few days before the team found him. He was in a very bad condition. The poachers tried to kill him with a machete after his mother had been shot. Luckily with the hard work from a professional rescuing team he is now recovering well and is in very good hands. 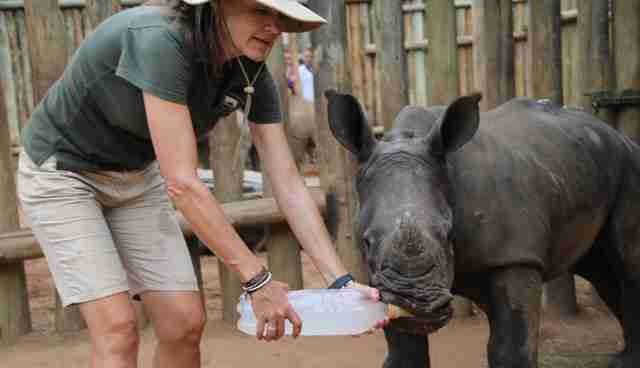 Petronel is a vet, she is one of few in the world who has the knowledge to rehabilitate and take care of injured rhinos. CARE for WILD AFRICA has a vision to one day release these rhinos into a safe, natural habitat without the threat of facing extinction. 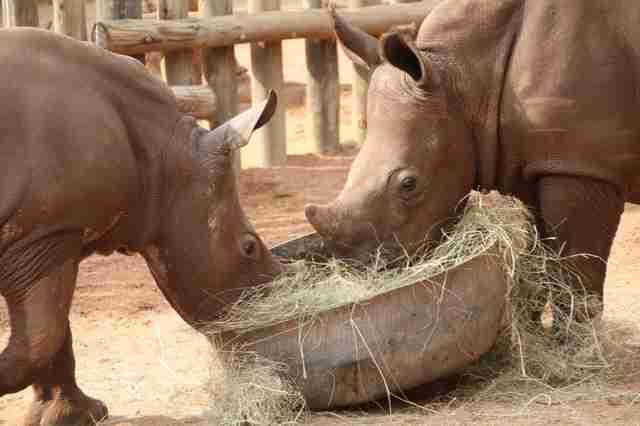 All the hard work the team are doing every single day, taking care of these baby rhinos is remarkable. The Perfect World Foundation is happy to support their wonderful work and donated R20 000 to help. Petronel and her partner Chris have a strong belief that they WILL make the world a better place for these animals but they need all the help they can get. "We are all in this together, without your help we wouldn't be able to do this. It would be impossible, thank you so much!" says Petronel. Baby rhinos keep coming in to the orphanage and in a perfect world we wouldn't need to have rescue centers like this but as long as the demand on rhino horn increase we must do everything we can to help save our rhinos from extinction. The Perfect World Foundation - Take action!